Thinking of moving house in the near future? Then you might want to make a winning move - actually, a EuroMillions winning move, to be more precise. That's because multi-millionaire EuroMillions winner, Dolores McNamara, is renting out her home in Limerick, Ireland - the very same home where she hit the €115 million jackpot in 2005! 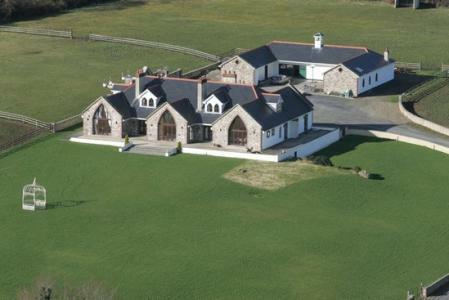 Now, obviously we're not saying that the address had anything to do with her lotto win, but then again, who knows? It could be that this four-bedroomed home had just the right kind of magic touch needed to take Dolores from regular player to mega-winner - and if you have the €1,000 a month she's asking for in rent, a little bit of that winning sparkle could rub off on you too! Of course, there's more to Dolores' home than simply the prestige of housing a lotto winner; in fact, it's a comfortable living space in its own right, one that any prospective tenant would be lucky to have. And thanks to the refurbishments Dolores was able to afford once her lotto ship came in, the home is now a real estate agent's dream, and "a stunning property" at that. Surrounded by a new boundary wall, protected by electric gates and fitted with a brand-new kitchen too, it's a haven for any family, especially with new wooden floors and blinds as an added bonus. You'll probably have to get in line, as we're sure it'll be snapped up soon thanks to its “winning” legacy! If you're lucky enough to sneak your way in though, who knows where the move could take you? 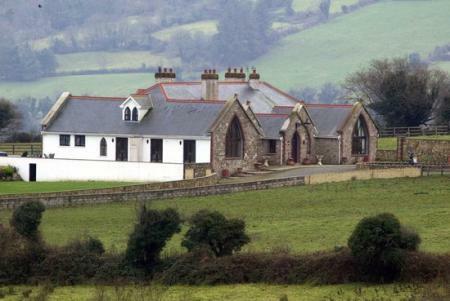 Perhaps in the same direction as Dolores herself, who used her winnings to become something of a property magnate, purchasing Lough Derg Hall in County Clare for €1.7 million, and the nearby Tinarana House for a further €3.5 million. 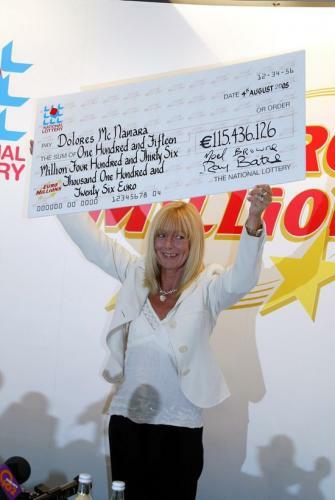 Despite such extravagant purchases though, Dolores is still in full control of her assets to this day, and manages her windfall responsibly with the help of professional advisors, refusing to fall into the trap of reckless spending and bankruptcy that a handful of other lottery winners have sadly fallen prey to. While Dolores has tried her best to keep a level head and stay out of the spotlight, she and her husband Alan were able to reveal one snippet of information in a rare 2007 interview when asked about their secret to staying sane. "We continue to have the same friends that we had before the win", said Alan. "These are people that we trust and we feel safe with these friends". A good tip - and an excellent piece of advice too! Ready to start putting Alan's advice to the test? Then why not start at GiantLottos, where you'll be able to play the EuroMillions just like Dolores, and hopefully win a multi-million jackpot in just the same way! The weekend lottery draws are only a few hours away, so make sure you don't miss out. Get ready to move to a fabulous new address and the home of your dreams! Thank you to everybody who participated in our comments competition. Unfortunately we couldn't make you all winners but we do have one lucky winner who walks away with a free 20 in play credits! Congratulations to Sally H from Bloemfontein, we've added £20 in Play Credits to your account. Best of luck with your tickets for this week! Is it Almost Superdraw Time Again?